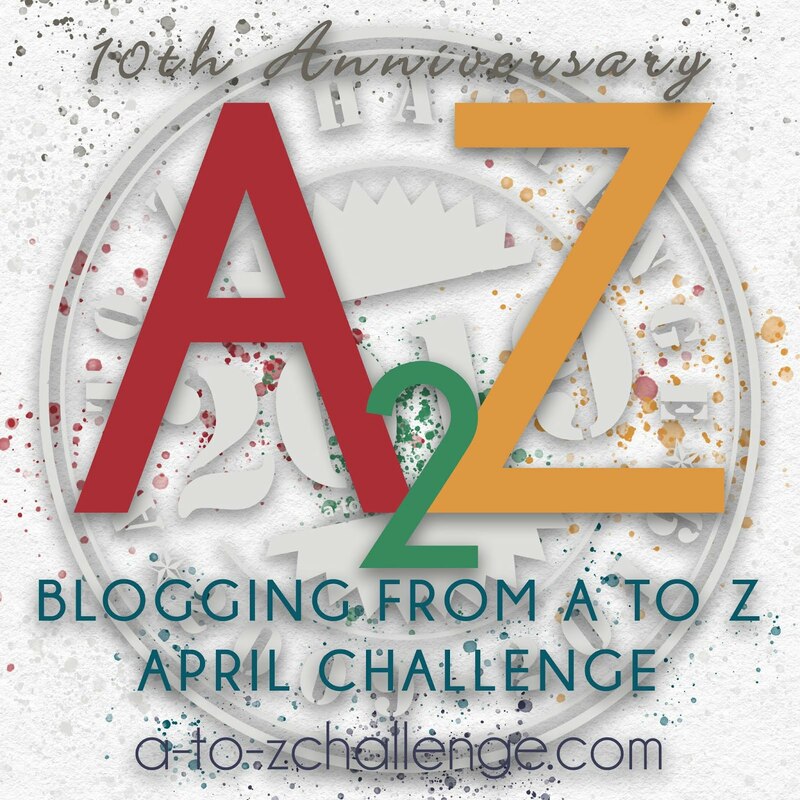 Today I'm going to debunk the most common misconceptions about the A to Z blogging challenge. 1- Just adding my link is enough. No. It’s a hop. 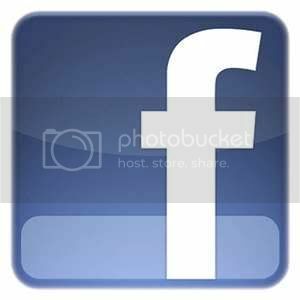 You post and you visit others who have posted. We interact with one another and cultivate new relationships. 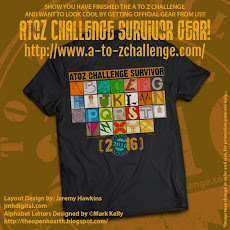 2- The A to Z Team list is just names on the blog. Hosts don’t do anything. WRONG. The hosts are here year round keeping the blog alive. We spend April helping all the participants. It’s hard work. It’s a second job that pays no money. We are not just names, we are people who care that this a supportive, safe, and productive blogging community. 3- The site is only up in April. Nope. It’s here all year. There are less posts in the off-seasons, but the content is still interesting. You should follow this blog and check for updates regularly. The hosts are dedicated to noticing and acting fast. 5- Everyone has a theme but me. Nah. 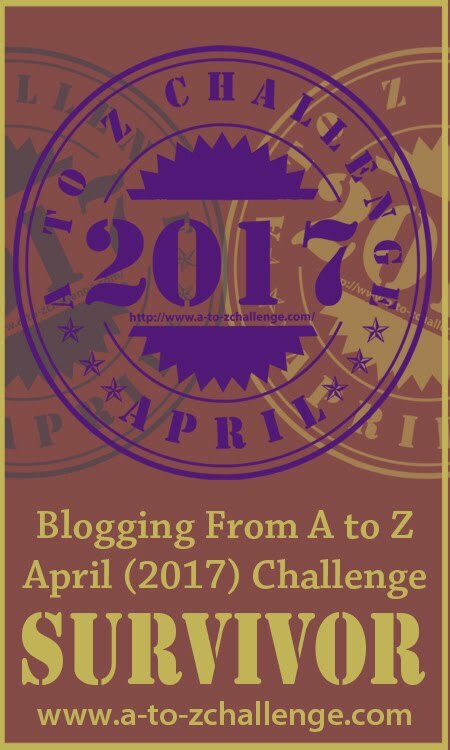 About 30% of the blogs in the challenge go without a theme to tie their posts together… other than the alphabet, of course! 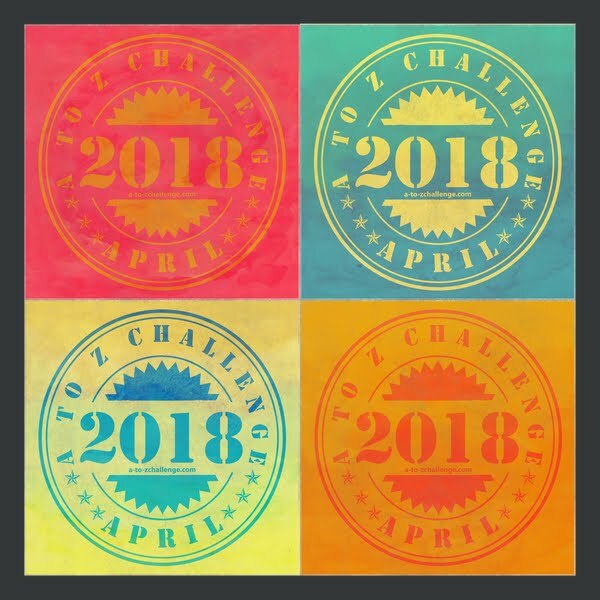 6- There’s no reason I should advertise the challenge on my blog. First, it’s not exactly advertising. It’s saying you participate, that you are part of our community. It shows off your blogging dedication, even if you only blog in April. Second, it’s spreading the word about the challenge, which brings everyone more views and comments. Third, it’s how others in the blog hop know they have come to the right place. It’s an assurance. 7- I’m going to get so much email junk from this challenge! I have been doing this challenge for six years. In all that time, and in commenting at about 1,000 blogs last year alone, I have received only ONE spam message. If you're still worried, create a separate email account. (I have one for hops, one for general, one for classes, and one for business. It's an old organization trick.) Be mindful of check-boxes that sign you up for replies or notices. Consider that you might enjoy some of the emails. Learn to use services such as BlogLovin' to keep up with your favorite blogs. 8- This is only for professionals. Most of the participants in the challenge are not professional bloggers. A few are professionals in their field who also blog. There are plenty of good people here who are new to blogging or who blog only as a hobby. We welcome everyone. Bonus -- the hosts are a wealth of knowledge for newbie bloggers! Useful restatement of the utility of the blog and the procedure to be followed. Awaiting April 2017. Tried it both ways, with a theme is so much neater and easier and just plain fun-ner. Never had any issues with spam because of A-Z either. Good to have these cleared up! All great points. I haven't noticed any spam either, but I am wondering if that's because the hosts were monitoring the list so carefully. I know I got at least 6 new followers because of the challenge last year. Looking forward to making some new friends! Agreed on all points. 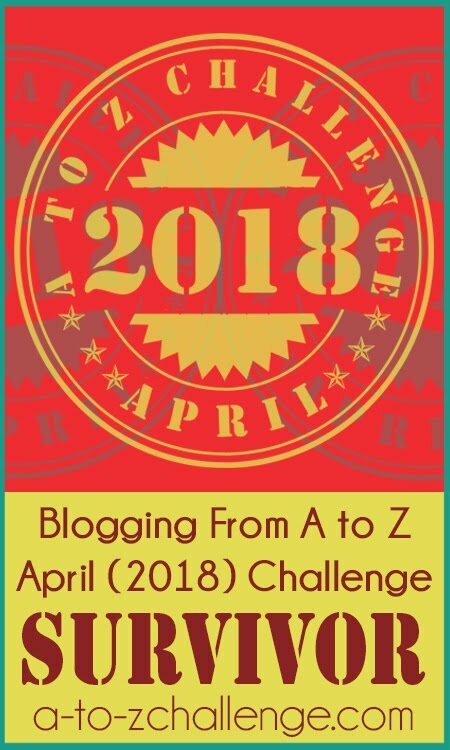 I encourage everyone to put up at least one post before the Challenge begins in order to show that they are participating and to get more bloggers on board. Making blog contacts earlier has always been a good strategy for keeping more visitors returning during April. Great reminders! Having a theme (ahead of time) makes for a stress-free challenge and allows more time for making friends and visiting. I've not encountered any spam in the midst of tons of interesting blogs and the terrific folks who write them! I wasn't planning on participating this year (I didn't last year, but still follow the blog), but now I'm thinking about revisiting my theme from my the first year when I blogged about IVF treatment. It'll be interesting to see how my perspective on the theme has changed. I've seen a few people say they were doing the challenge but had no intention on visiting others. Kinda baffled me because that's half the challenge. I always write my posts ahead of time so I have all of April to spend visiting others. This is such a helpful post, Vidya. I will be sharing it with everyone I know who is doing the Challenge for the 1st time this year. I see no point at all in blogging without visiting others, reading their posts and commenting on them. Otherwise, you might as well be in a word document on your own PC. You laid it out very well Lori! I won't name names, but I can think of a number of bloggers I stopped visiting because they never reciprocated. I get not visiting and commenting back for every single post, particularly if this is a one-off comment, but it feels like a deliberate omission if you've been visiting and commenting for many months. Some bloggers seem to only want to interact with their established blogging buddies. And we are all very glad that you hosts are as dedicated to we participants as you are! I'm looking forward to the challenge this year. And you're right: if we don't comment and interact, there's really no point to participating :D I always meet a lot of new people and discover a lot of new blogs each year I participate. It's true and it's sad. Some bloggers don't even appear to have any blogging buddies and don't seem to understand that it's because they don't interact. I think there are some bloggers who merely expect people to be reading their posts because what they write is so great, but I'm not sure that anybody at all is really reading them.